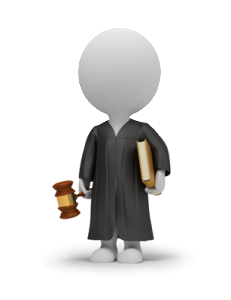 There are different types of specializations for becoming a lawyer, and each lawyer will usually follow one specialization. Even if some of them are interconnected, there is plenty of area to be covered for a single specialization. When you need a lawyer, you also need to know what to look for exactly. It’s not that they can’t interpret the law, but the truth is that each lawyer knows the insights of his/her own area. 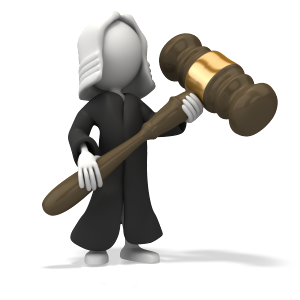 They know the general rules for the usual cases, like what happens if you take a speeding ticket, but you will require a specific lawyer if, for example, you are facing a divorce matter. A firm like Sterling Law Office that specializes in family law will be best suited to help. Here are some common types of lawyers (view definitions) that you might need in different cases, so that you know what to look for. This area is pretty large, and it can cover other areas like employment, acquisitions, intellectual property and others. There are different types of business lawyers – some will help you if you want to start your own business, with creating the startup, while others will be working only with large enterprises. The business lawyers usually know at least the basics in accounting, employment, tax compliances and everything else related. Some are also specialized in transactions and litigations – the first type will take care of contracts and documents, while the second type will take care of your lawsuits, representing you in court. These are specialized in the legislation of labor and employment, and they make sure that every person being hired and working for a business has a labor contract according to the laws and regulations in this domain. You will also find lawyers specialized in litigations and lawyers specialized in employee rights transactions (more info), exactly as the ones in the business area. Their functions are similar – some represent the companies in lawsuits, while others take care of papers in general. Whenever you are facing with a financial problem, this is the lawyer that you need. They know everything there is to know about finance, and they are dealing with issues related to banks and individually issued money. They can also take care of the finances of different businesses, selling stock. Part of their activity is related to defending their clients – persons or businesses – if they are facing charges from the SEC or IRS. Whenever you need to divorce, the family lawyer is the one that you need. They are taking care of everything related to family relations – divorces, battles for custody, in case you need prenuptial agreements or something else that is related to children and marriage. Even is some are specialized only in divorce, usually a family law attorney will be able to cover all the areas related to family law (more info). Whenever you want to buy a house or sell a real estate property, this is the real estate lawyer that you need (more info). They know all the rules and regulations of real estate, along with contracts and all the other papers that you need to fill out with this occasion. You can do this without a lawyer, but it is better that the contract is seen by one before you sign the papers. This will prevent you from signing something that you don’t agree with. 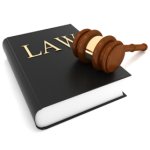 These are specialized to help you whenever you are facing criminal charges. They can take care of the papers that need to be filled, but they can also represent you in lawsuits. Most of the lawyers who practice in this have previously been working with the prosecution department, so they know exactly what happens in each case. These are some of the most common lawyers that you might need during a lifetime; however, if you have some other kind of problem, you can always ask any of them whom you have to address your concerns to.